The latest season of Clackamas Community College's Theatre Department will soon open with the Tennessee Williams classic, "A Streetcar Named Desire." Set in post-World War II New Orleans, the story follows southern belle Blanche DuBois as she makes a final attempt at happiness at the home her sister, Stella, and cruel brother-in-law, Stanley Kowalski. At CCC, the show is directed by James Eikrem, with scenic and lighting design by Christopher Whitten and costuming by Alva Bradford. 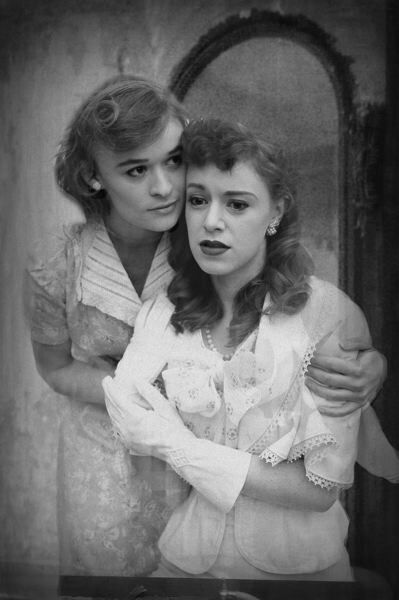 "A Streetcar Named Desire" runs from Thursday, Nov. 9, through Sunday, Nov. 19, with performances at 7:30 p.m. Thursday through Saturday and 2:30 p.m. Sundays. The show is at the Osterman Theatre in the Niemeyer Center on the school's Oregon City campus, 19600 Molalla Ave. There will be an opening night reception with refreshments and live music from the college's Jazz Combo at 6:30 p.m. Thursday, Nov. 9, on the lobby of the Niemeyer Center. Tickets are $11 for adults, $9 for seniors and $5 or pay what you can at the door for students. To purchase tickets, visit www.clackamas.edu/theatre or call 503-594-3153.